Juan Luis Rubiales presents his new DVD: Con Denominacion (A spanish expresion which translates to "With guarantee of origin" in english). 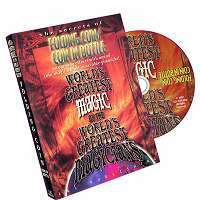 You can find here 10 of the most amazing Coin Magic routines of Juan Luis repertoire. Get ready to learn a lot of new original and never seen before sleights. 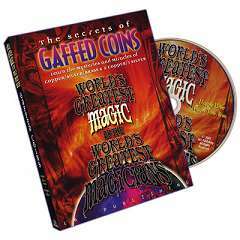 Excellent coin magic. Pure Magic of the South of Spain presented as a Documentary. Get ready to discover Con Denominacion. Quality. Elegance. "Pata Negra" Magic. Extras: Full Documentary, Other Publications Performances. "He is very creative, he has an authentic and unique style. Like his Magic, authentic and genuine, a real marvel. Thank you Juanlu for what you are doing." "Finally, Juan Luis Rubiales has shared his Magic Secrets. It is a good day for every fan of Coin Magic. Thank you Juanlu." "His Magic is absolutely brilliant." 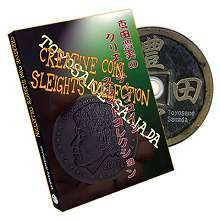 "He is revolutizioning the Coin Magic scene." "Juan Luis surprises us every summer we meet together with a very powerful Magic." "Since he has started with the Okito box we are crazy with his Magic." 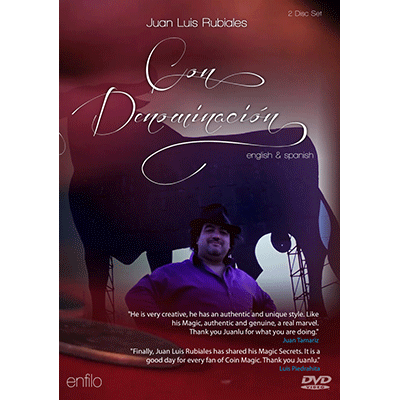 "I'm very excited with Juanlu Rubiales and his new DVD. He is a great Magician."